If you require a safe to secure cash for an event or need a safe for a specific time period we offer safe hire services. 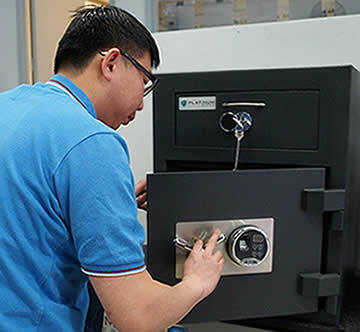 Whether it’s a deposit safe, retail time delay safe, cash or fire rated safe, we will work towards your requirements. We work with many event based service companies who reply on our trusted services. We take care of all the transit logistics from site delivery to pick up and only provide high quality safes that will protect your cash and valuables. Aus Safes provide safe storage for safes. Our warehouse facilities allows safes to be securely stored for both short and long term periods. We will pick up and drop off your safe as per our client’s requirements. Safes can also be professionally serviced and repaired during this time.